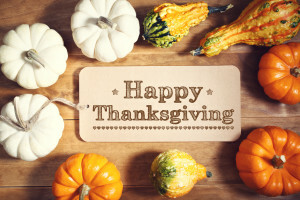 In this Thanksgiving week episode of The Law Podcasting Podcast, we depart from our usual format to discuss gratitude and its benefits in your life, your practice and your marketing. 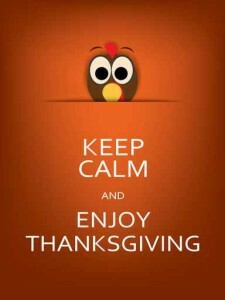 If you haven't tried a daily ritual of giving thanks for the good things in your life, I encourage you to try it. It's uplifiting and will attract more good things. Thank you for your time, attention, and support of this podcast, and of Power Podcasting For Lawyers, our first-of-its kind video training course by lawyers for lawyers that shows you a step-by-step approach to conceiving, developing, and launching a law podcast to grow your practice and have some fun, to boot! 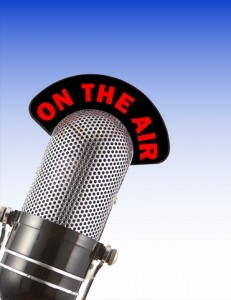 Podcasting is among the best of the tools in the law-firm marketing toolbox. In this short, solo episode, I discuss law firm marketing plans, and how podcasting fits among the various marketing tools, tactics and strategies available, explaining why podcasting is the best, easiest, and most cost-effective weapon in the arsenal. “Good” sound is enough… It's really about the content..
Have a checklist My favorite tool = http://processstreet.com This tool lets you set up process checklists, and include text, audio, video and images so you get things right every time. This tool is also great for showing your assistant, your VA, or your teenager how to do some of the steps, so you can get back to higher-level tasks. 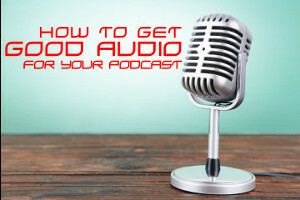 Develop your podcasting system and follow it every time. It simplifies thing immensely and will ensure your show is consistently high quality.You can set up a routine for yourself so that every time you record, you go through all the steps necessary to ensure your recording comes out as clean and clear as possible. Damping Rugs, towels, blankets, coat closet, etc. specialized tools canvas paintings, squares etc. Finally, smile. It comes through. Encode At lowest bit rate suitable to your content. Get started and improve incrementally. Don't wait until everything is just right. After all, it's about your content. As long as it sounds pretty good, folks will enjoy. 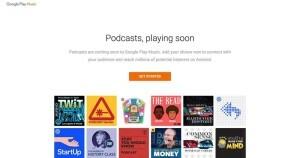 Should you submit your podcast to Google Play Music Podcast Portal? In this solo episode, I share my thoughts about whether to list your podcast(s) in the Google Play Music Podcast Portal. In October, Google finally added podcasts to it's Google Play Music store, so android users will now have a more native way to discover and consume podcast content. If you take the time to read the Terms of Service carefully, you may find some points that give you reason to rethink whether you'll submit your show to Google's service. Google will download and host your content separately. My big concerns relate mainly to the fact that Google is planning to download the contents of your RSS feed and host the material on their own servers, which means that, at least with respect to the hosted material, you're losing control of your feed, and of what your subscribers are seeing when they access what they think is your podcast. You lose control of your feed. If you, for some reason, need to remove an episode from your feed, it will nonetheless remain available to Google Play users, if they've previously downloaded that episode. So, if you're taking down material because of a legal threat, or you just don't like what you said… Too bad. Google still has a copy. And you can bet that it'll be indexed, and will turn up in *some* search results. Requiring things the law doesn't. Another point of concern is that Google is seemingly imposing a requirement that goes beyond what the actual law requires. Specifically, Google expects you to warrant and represent that you have permission to use the name, likeness, etc., of every person you so much as mention in your show. Even if you don't have a legal obligation to get that permission. (it's legal in most instances to mention a person by name within the content of a media program like a podcast. What's not legal is using that person's name or likeness for commercial purposes.) Google is taking things farther than the law requires, and it's doing so in a way that can have a chilling effect on free speech. Google wants to use your content in its advertising and promotion, and that's commercial… So if they do so in a way that infringes the rights of someone you mention or show in your podcast, they'll expect you to take the heat. Now, I've just scratched the surface in these show notes. There are a few more points that raised my eyebrows… So give this episode a listen. Read the Terms of Service for yourself. Click “Get Started” and proceed as though you're going to publish your feed. You'll be prompted to accept the terms. Read carefully.